Hear the music and learn the thoughts of one of England’s wonderful, honky tonk guitar vocalists, Dennis Derby. Laugh and cry as he sings his own songs about lying politicians, heroic soldiers, street beggars and the like. Dennis Derby has worked for decades with dance bands, rock bands, as a solo artist and as a part of both duo and close harmony groups. 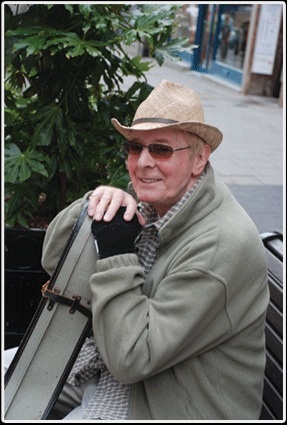 Dennis Derby now gets his message across busking on the streets, so next time stop and say hello. New Single “Above or Below” Out Now!